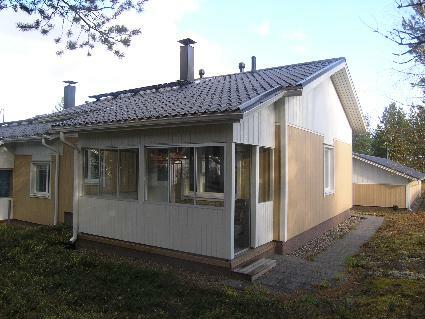 A luxury brick holiday home completed in 2000 in the vicinity of Holiday Club Katinkulta. 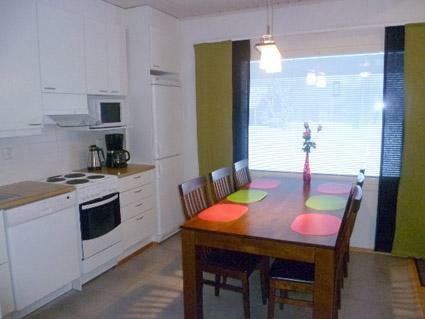 Floor area 250 m². Kitchen, living room with two sofa-beds for two and three sofa-beds for one. 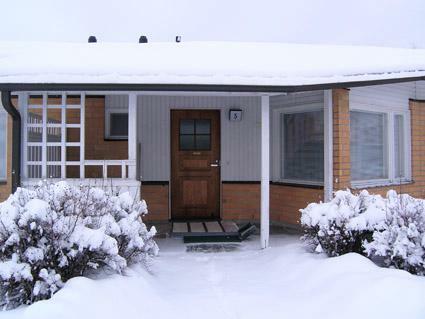 Three bedrooms, each with beds for two + extra beds, two toilets, sauna (electric heated), shower on the ground floor, bathtub (electric heated). Upstairs three bedrooms, each with beds for two and wc. Terrace with warm tub, all year round use. Also 40 m2 playroom, billiard saloon, dartboard etc. Kajaani 33 km, Sotkamo 8 km. 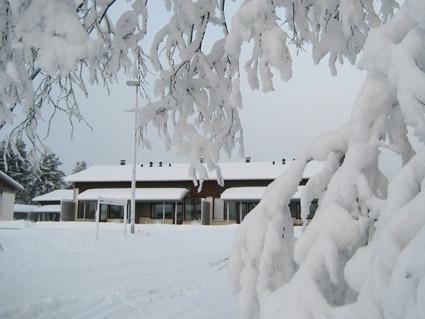 Vuokatti ski slopes 2,5 km, cross country track 100 m. Beach 500 m. Final cleaning and linen included in price, more bed linen available at extra cost. Pets allowed. Check in at 4 pm on arrival day and check out at 12 am on departure day, also in case of a weekend stay.